Today's "theme" over at BlogPaws is "August Holidays" and the BlogPaws Team provides a fun list of all kinds of special days you can celebrate on your blog and with your pet. Don't miss this great way of planning your blog posts and doing a bit of celebrating—National Ice Cream Sandwich Day, anyone? We're pleased to announce that our "heat index" has dropped from 105 degrees to 97 degrees! Woot Woot! 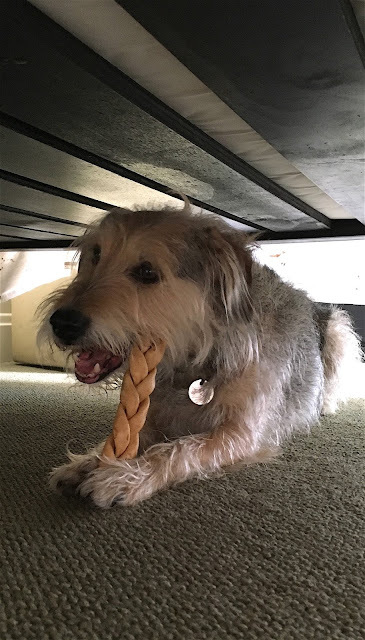 Parental Unit gave me a bone I could chew in my cool, temperature-controlled man cave (under her bed) to celebrate the occasion. 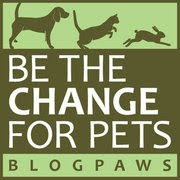 Now let's visit our friends at the BlogPaws Wordless Wednesday Pet Blogger Hop! 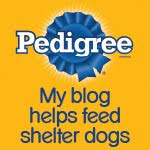 I love today's BlogPaws' post. There are some great ideas. It is hot down here too. We are limiting our walks to late evening. August sure does have lots of yummy holidays! Sounds like the temps are moving in the right direction! Though still too hot for us!